Raphael and Leila tell you about postgraduate student life and community at MDX. What’s it like being on a Postgraduate Research Programme, you ask? I’m here to try to answer that from my perspective. Being a postgraduate student is often both stressful and interesting at the same time. Stress is good as it helps to bring things into perspective. My Postgraduate Research life is pretty busy as I’m engaged in several other activities alongside my studies. My supervisors are very helpful as they are always there to lend a helping hand; from drafting to redrafting of my research, ensuring that each section or sub-section comes out as great as possible. I’m intrigued to present at and attend conferences as well as publish quality journal papers which is also an essential part of postgraduate research student life. I love to do other activities as well as study. I am part of the MDX Judo team for which I have trainings two days a week and have had a couple of competitions earning myself two silver and two bronze medals. I’m expecting a gold medal in my next competition… #praying. I also lead an on-campus, Christian Campus Fellowship, Salem MDX. 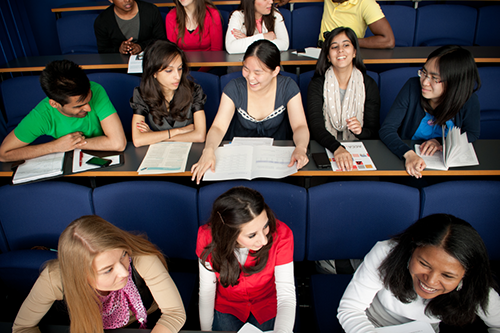 When it comes to the Postgraduate community, there is someone to talk to or network with. It consists of vibrant individuals with several other mini-groups. I have been able to present my research within the community and share my research story with other students. I am part of a team of course ambassadors, so I am able to speak with so many people, get their opinions about University and understand any changes they would like to see. #Change is coming even at Middlesex. The Language Café was brought about after we asked for a chance to be able to network with other cultures and learn their language. I was paired with a French speaking partner and was able to learn much of the culture and language. Moreover, while studying for my masters we at MDX, we were able to ask for more internship opportunities which we got - I interned for Building and Wood Workers’ International in Geneva, Switzerland. We were also able to go on excursions which aided the better understanding of several aspects of our course. My name Is Leila and I’m currently studying a Masters in Film at Middlesex University. This is both a practical and theory based course, so I’m often kept very busy. However, studying in a taught postgraduate degree was the best option for me because I took time out after my undergrad to work, so I felt that I needed the extra help when it came to academic writing and thought. I needed to refresh my knowledge, as well as gaining the technical knowhow on newer technology to achieve the best in my coursework for my MA Film course. 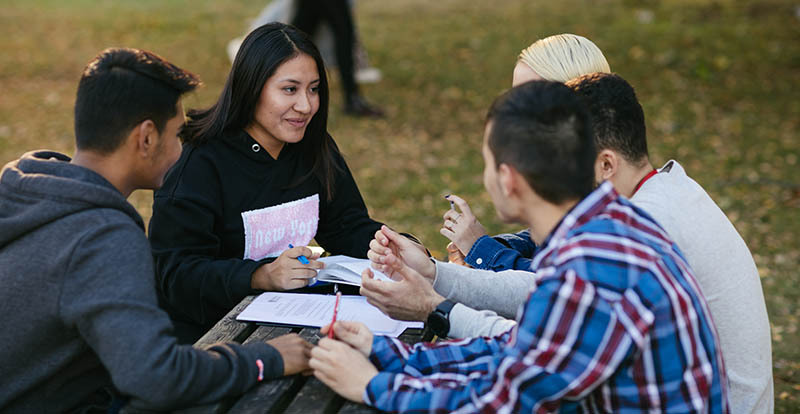 The best part about being a postgraduate at Middlesex University has been around the community spirit when it comes to the variety of people from a wide variety of cultural backgrounds. It’s a wonderful experience to be able to learn from all these people. As filmmakers it’s been beneficial to have everyone willing to help on each other’s projects. It’s so important to stand up and voice your opinions or to ask for change when you think something can be better for you and all your peers. I’ve spent a lot of time as the Arts and Creative Industries Ambassador talking to current and perspective students and finding out their thoughts and worries. One common theme amongst everyone was mental health. I remember when I was having my struggles and turned to my lecturer to ask for help. And that’s when my lecturer told me about the counselling and mental health service. I didn’t know there was a mental health service at Middlesex university. I was able to refer myself on their page via the website. Within two weeks I was able to get an appointment which is far shorter than the 6 month wait that the NHS I had. I felt very grateful to have the support of the counselling and mental health service, and could not believe that it was such an unknown asset of Middlesex University. So I decided I wanted to do something to raise awareness for it, in the best way I knew how, and that was to film a promo video that would be suitable for Middlesex University’s social media and website. I’m currently in the process of filming this video, so all of you can see what Middlesex university has to offer, as well as to raise mental health awareness to change perceptions. If you're inspired by this post and want to share your experiences as a postgraduate student, just remember that the Postgraduate Taught Experience Survey (PTES) is open!